Well here we are in another year. I hope that all members had a happy Christmas and I also hope the new year is a prosperous one. This year I hope will be a good one for the Association. As I reported to you last year we now have in excess of 200 members. I would like this to increase to say 250 by the end of the year. So if you know of any past member of the Regiment who is not a member please E Mail myself or Peter Morton. Also invite ex members to attend the Back to the Regiment Night. 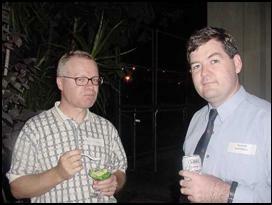 The first function for the year is the “Back to the Regiment” night on Friday Night 15th March 2002 at the Regiment. It promises to be another excellent evening. Enclosed in the magazine you will find details. I hope that you are able to attend. To our recent graduate members I think you will find it is a good night on which to catch up with people you have not seen since you left the unit. The format is pretty much the same as previous years. Financially we are pretty sound. At the end of the day for 2002 the committee intends to keep on the same track as 2001 and hopefully increase our membership. As always, if you have any comments or suggestions, please E Mail me on pesb@ozemail.com.au . Renewals are also now due for our yearly members. The association would be pleased if you are able to renew. I ask you to consider renewing as a 10 year member. Not only is there a considerable cost saving involved, it also obviates the need for renewal letters to go out to a large number of members every 12 months and saves you having yet another bill every new year. The Regiment is at its busiest at the moment. Locally we have thirty staff cadets undertaking their Officer Induction Module and in Canberra we have twenty-three staff cadets undertaking their final modules and preparing for graduation. The Officer Induction Module (OIM) is a combined QUR, SUR, UNSWR course with almost 100 staff cadets. The course has gone very well and I hope it will serve as both an effective and efficient model for the RMC formation. I have visited the course on a number of occasions and have been impressed with the instructional staff and also the quality of staff cadets. This course has an increase of older cadets given the introduction, last year, of the policy that lifted some of the age restrictions. I believe this to have had some marked, positive effects. I look forward to seeing many of you at the “Back to the Regiment” night. 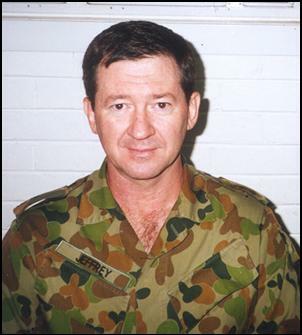 The new Commander of 11 Brigade in Townsville is Brigadier Steve Graw who was commissioned in QUR in the early 70s. 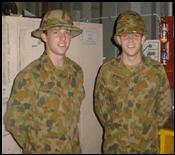 A lawyer, Brigadier Graw has spent most of his post QUR service in North Queensland and was formerly CO 31 RQR. 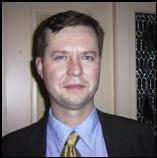 In this year’s Australia Day Honours List, Association member and former unit RMO, Associate Professor John Frederick Leditschke, was appointed a Member in the General Division of the Order of Australia (AM). The award was for service to medicine in the fields of paediatric and burns surgery, to the promotion of child safety and accident prevention, and to the community, particularly through support for St John Ambulance Australia. Our congratulations to Fred for this well-deserved achnowledgement.